The practical and efficient Vauxhall Vivaro van range features strong styling and frames built to provide each model with a wide and solid stance that sends a clear message that you and your business are a force to be reckoned with. Boasting a variety of serious payload capacities and easy access to the loading areas, Vivaro vans also come with powerful and technologically advanced Euro 6 engines that produce a dynamic and ultra smooth ride. 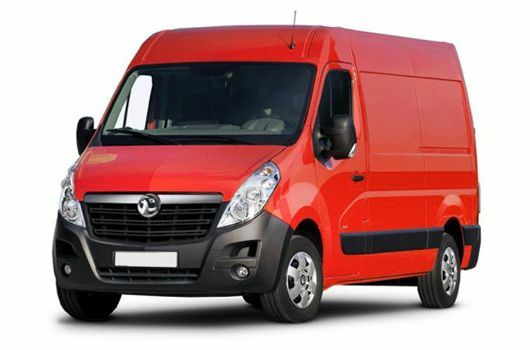 Vans in the Vauxhall Vivaro range are available to buy now for affordable prices from UK Vans Direct. With Gross Vehicle Weights ranging between 2700 and 2900kg, there are multiple vehicle length and roof height options in the Vivaro van range. The smallest version has a 5.2 cubic metre load space volume which is 2537mm long and 1387mm high, with the longest variant having a 8.6 cubic metre load space volume measuring 2937mm long and 1898mm high. All load space area widths measure 1662mm wide. Vivaro vans use smaller displacement (though no less efficient) Turbo and BiTurbo diesel engines that can deliver plenty of power combined with lower emissions and impressive fuel economy. Whichever model you choose, it will provide the perfect mix of day-to-day performance and competitive fuel consumption. All of the engines incorporate Vauxhall’s latest ECO system technology and Start/Stop functionality to ensure operating costs are kept to an absolute minimum. 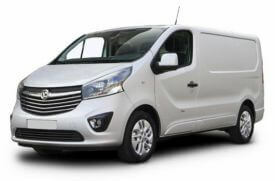 Vauxhall Vivaro vans are available now from UK Vans Direct with prices starting from £14,995.00 plus VAT and Road Fund Licence. There are also multiple hire purchase options available which start from £250.92 per month. Delivery of the van is free of charge. For more information about these practical and efficient Vauxhall Vivaro vans, call our team of Vauxhall van experts on 01709 717200.